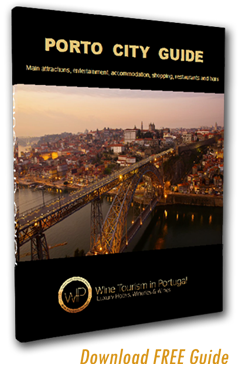 This tour was designed thinking about the lovers of the Portuguese wine and food and those who want to experience the essencial of Portuguese gastronomy and Port Wine's history and culture. With one of the most privileged views over the historic centre of Porto- UNESCO's World Heritage Site, we will take you on a journey about the history of the famous Port Wine, including Dinner at a modern Restaurant where you will be able to taste the best flavours of the Portuguese food. The Tour will take place at Vila Nova de Gaia riverside, where you can enjoy one of the most beautiful landscapes of the historic city of Porto, considered a World Heritage Site by UNESCO since 1996. 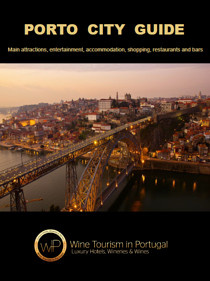 You will visit and taste the wines of three world-renowned Port Wine Cellars. This Tour will give you an opportunity to enjoy essencial experiences in the Port Wine Cellars. Lunch will take place at Decastro Gaia Restaurant, a modern restaurant where you will enjoy a pre-set menu with the flavors of Portuguese gastronomy and a Port Wine Cocktail in a amazing rooftop with a 360º view over the cellars and the Douro River.